Bespoke model pieces as well as ready to wear hats are handmade with a variety of millinery materials from fabrics to sinamay to straws to felts or leather– all chosen according to the season and event. Great care is taken to create a piece which fits the personality and occasion while reflecting my own sense of aesthetic and following current fashion trends. Specialising in bespoke hats and headpieces, all designs are made to our customers specifications. We have a wide range of fabrics, straws, custom colouring and feather options which leads to each piece being truly unique. We offer a custom colouring service to match any outfit, fittings allow for perfect sizing and changes being made, thus giving our customers the end result they want. Advice is offered on colour matching, how to perfectly accessorise your outfit to the tones and colours that would best suit. We will also help select the right style of hat for your face and body shape. We also offer re-styling and repair services where appropriate and possible. Have you got a hat that doesn’t quite match the outfit you will be wearing for the next event? Maybe it could be re-styled by changing the colour of the trimmings? Monika came to millinery in late 2006. 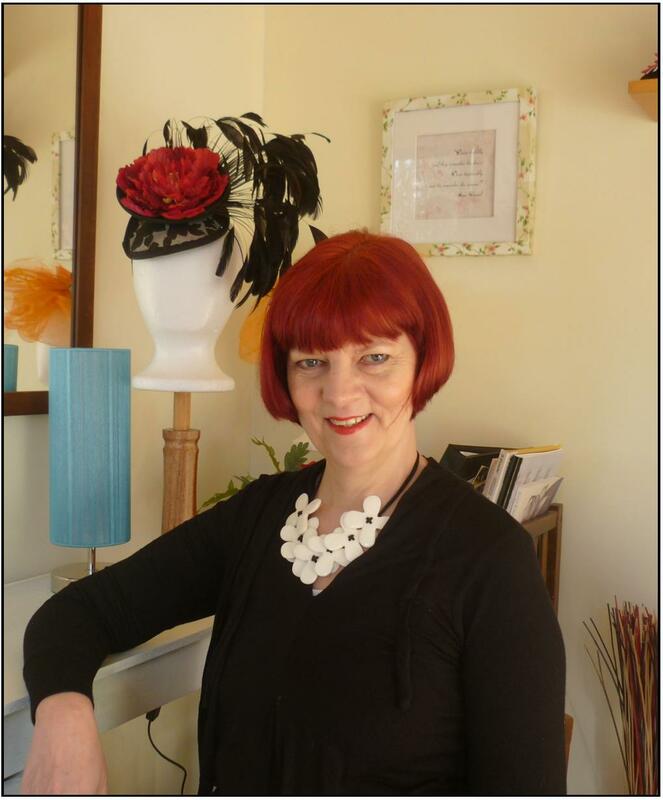 After being an autodidact for a number of years she now travels overseas twice a year for ongoing education with Master Milliners such as Waltraud Reiner of Melbourne. Long standing traditional methods and techniques combined with traditional as well as modern materials allow for ever evolving styles and designs. She strives to keep the integrity of the trade and the craft alive. 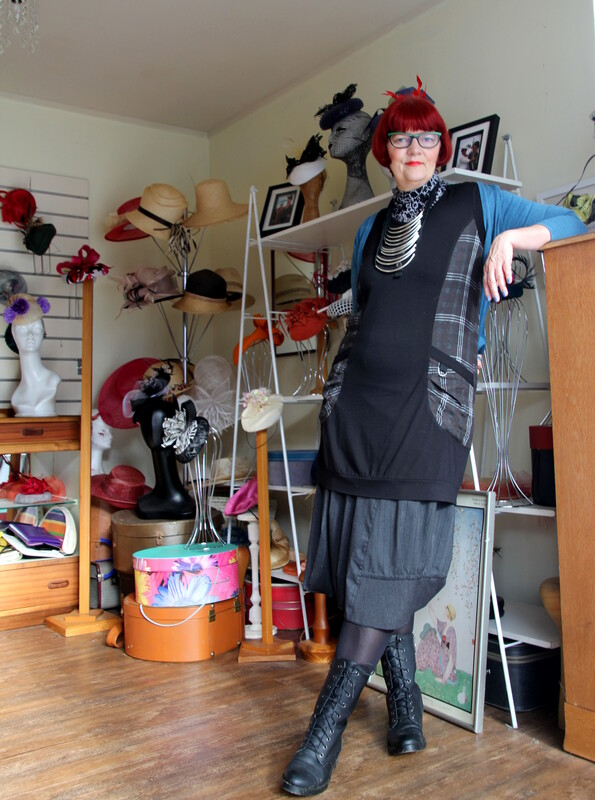 Monika Neuhauser Millinery – or MNM for short – has been part of many “Fashion in the Fields” winning outfits on racecourses around New Zealand and abroad. “Thank you Monika for the beautiful bespoke headpiece, the process was a pleasure to be a part of and the end result more amazing than I had hoped”. “Finally a proud owner of a beautiful Hatinator from the one and only Monika Neuhauser. I went and saw her all the way at Pirongia ! Had the pleasure of seeing her work studio and some beautiful pieces she has on display. Totally in love and I have been so inspired to try and design. Our studio is situated in the picturesque village of Pirongia and consists of a millinery workroom, a showroom and an attached woodworking room. The attached woodworking facility is an invaluable contribution to the millinery workshop. 80% of all hat block used to make our hats and headpieces come from his workroom. Hat blocks are essential tools in millinery – without them the choice of styles would be very limited. Having the hat block workshop on site allows for many shape and sizes to be made up as required – when required! Hat blocks are not only tools of the trade, they are in most cases beautiful objects in their own right! Monika is originally from Austria and lives with her husband , 2 dogs and 4 cats about 30 min south of Hamilton, New Zealand. Surrounded by a lovely garden, the studio is one of her favourite places to be.